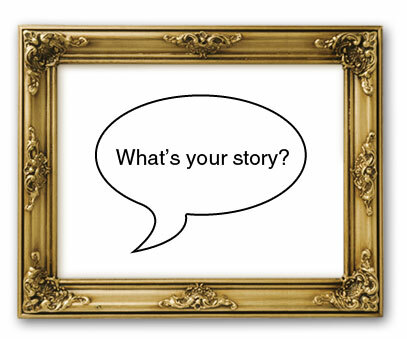 What is your story, do you have a niche market or a brand that you promote? Whether we like it or not, people are judging us. They are telling themselves stories that help them make sense of the world (by they I mean all of us of course). Since this is a fact of life we might as well embrace it. We as Realtors need to define what story we represent so that customers can better define who we are. After all, what better way to get referred than to be clear in the mind of our consumers? We must know that our branding and the image or story we try to tell makes us as Real Estate Agents more "referrable" to our friends, family and past customers. Think about it...when you tell someone about your favorite restaurant, hair stylist, electrician, attorney, doctor...etc. don't you tell them in the context of how good they are or how much the experience meant to you. For instance.... "Oh you are looking to downsize? You should call my Agent friend Jerry! He specializes in Seniors and knows all the best neighborhoods and properties for empty nesters. In fact even the Mayor used him. Did you know he is an avid road biker just like you?...oh you're gonna love him". (His specialty and passion enabled the referral to have so much power, it would be hard for that consumer to not trust him, even though they've never met him). The hardest part is deciding and going with it, but you must decide. Just pick something that is authentic to you. Neighborhood Expert (most popular also known as a "geographic farm"
Once you've decided what brand or niche you represent you are ready to tell your story to the world! That is where our "Marketing Makeover" comes in! 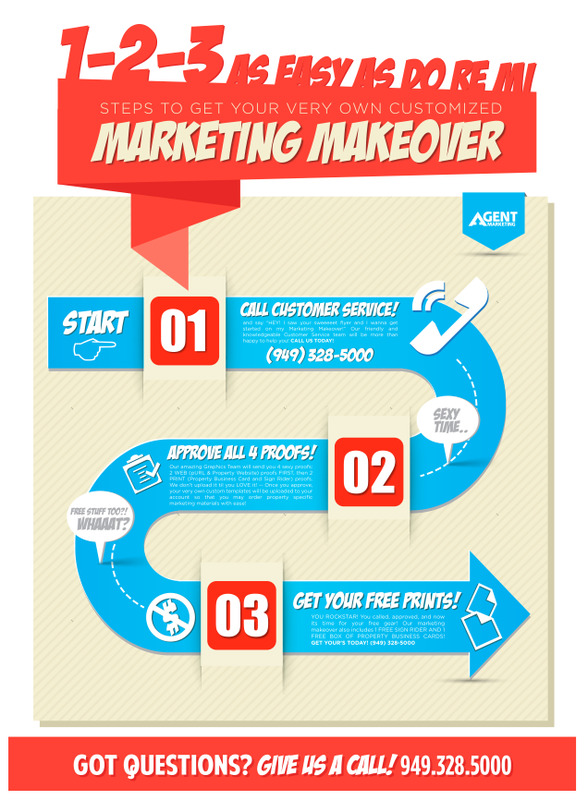 At AgentMarketing.com we offer a FREE "Marketing Makeover" that helps you tell your story to the world. What does our makeover entail? Our graphics team will work with you to customize your marketing to your brand for FREE if you are part of our "Everything" plan. 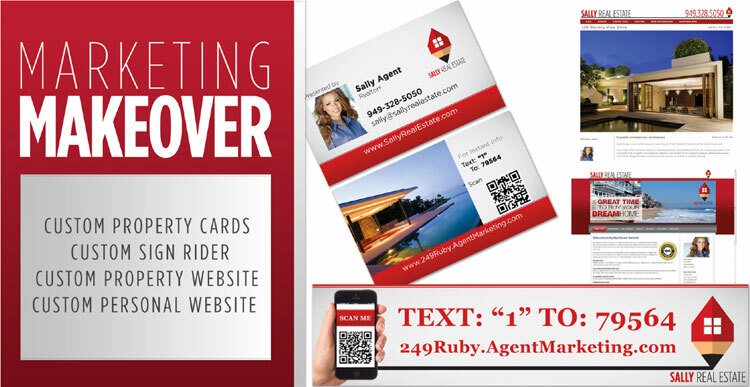 Not only is the makeover FREE but after you've approved the customization, we ship you a FREE sign rider and a box of our hugely popular Biz Prop Cards as congratulations for making a decision to brand yourself. How do you get it? Just call our hotline and ask for our Customer Support team to open a graphics ticket to start your specialized "Marketing Makeover"! Our team can be reached 12 hours a day five days a week at (949) 328-5050.